Mesenteric ischemia is a disease seen predominantly in the elderly that can be associated with considerable mortality if not detected before bowel infarction.1,2 Clinically, there are two subtypes of mesenteric ischemia: acute and chronic. Biphasic CT has become the gold standard in evaluating patients with suspected mesenteric ischemia.2 The modality provides rapid, noninvasive evaluation and minimizes the need for angiography and exploratory laparotomy. This review summarizes the role of CT and other imaging modalities in the evaluation of mesenteric ischemia. Unlike arterial thromboembolism, venous thrombosis is unrelated to atherosclerosis. Hypercoagulable states, systemic processes, or an underlying inflammatory process from the abdominal organs are the etiologies for venous thrombosis.12 For example, pancreatitis or extrinsic compression by a pancreatic neoplasm are typical causes of SMV thrombosis. 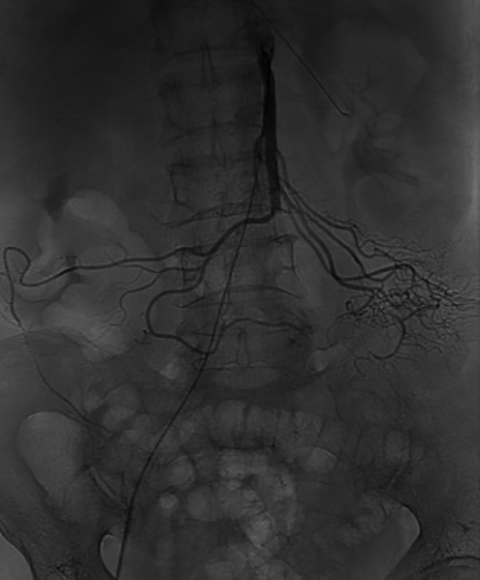 Mesenteric venous stasis is the third-leading cause of venous thrombosis and can occur as a result of a number of conditions, including Budd-Chiari, cirrhosis, or post-splenectomy physiology.12 Passive venous congestion of the end-organ eventually reduces arterial inflow to ultimately result in bowel infarction. Clinically, patients with venous thrombosis may present with a longer, more indolent course of symptoms (1-2 weeks). Because of venous congestion, bowel ischemia is more likely to demonstrate bowel-wall thickening, mucosal hyper-enhancement, and mesenteric edema, which can be either hypo- or hyperdense depending on whether edema or hemorrhage is prevalent.8 Conversely, bowel ischemia resulting from arterial thromboembolism is actually associated with bowel-wall thinning and no mucosal enhancement in the early stages.12,13 Ultimately, as bowel ischemia progresses to infarction, the conventional signs of reactive edema become progressively more apparent regardless of whether venous or arterial occlusion is the culprit (Figure 5). 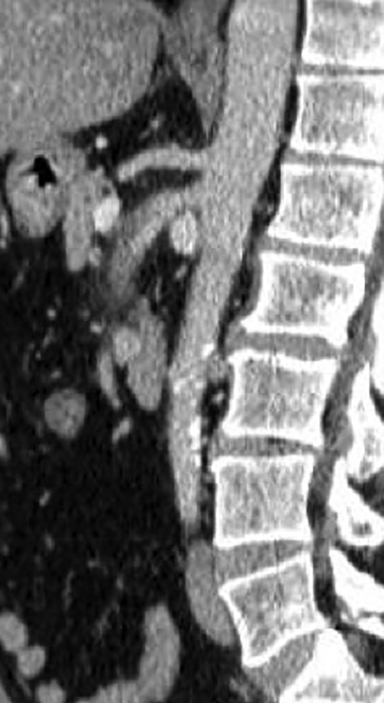 Computed tomography is the primary imaging modality used to evaluate mesenteric ischemia; ultrasound and MRI also play a role.26 Gray scale and Doppler ultrasound serve an important role in the screening, surveillance and follow-up of both mesenteric arterial and venous conditions.27 However, the yield of the ultrasound evaluation can vary due to body habitus, obscuring bowel gas, and operator capability. An uncommon disease, mesenteric ischemia carries significant morbidity and mortality if not identified early in its course. 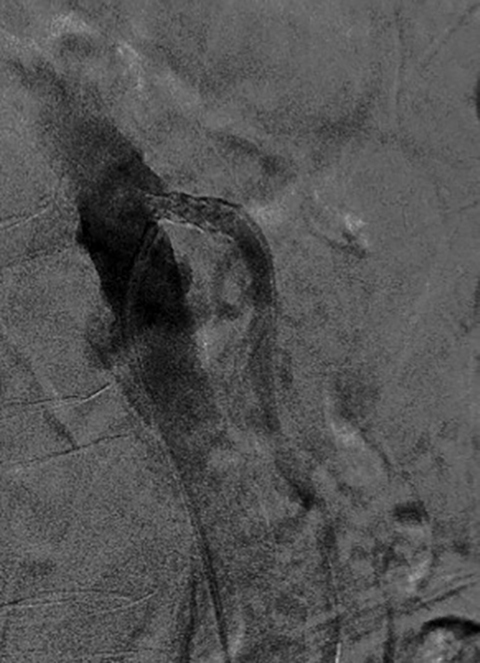 Computed tomography has become the initial and best modality to assess for acute mesenteric ischemia because of its ability to evaluate not only the vessels but also the extent of bowel ischemia and/or infarction. The modality also identifies the cause of mesenteric ischemia and allows for prompt and proper triage and therapy. 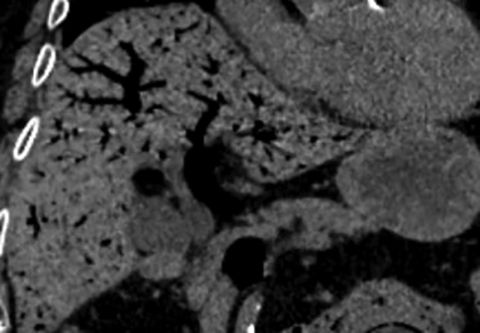 In the setting of chronic mesenteric ischemia, CT identifies the extent of vascular disease to select those patients who may require revascularization. Clair DG, Beach JM, et al. Mesenteric ischemia. N Engl J Med. 2016; 374(10):959-968. Menke J. Diagnostic accuracy of multidetector CT in acute mesenteric ischemia: systematic review and meta-analysis. Radiology. 2010;256(1):93-101. Horton KM, Fishman E, et al. 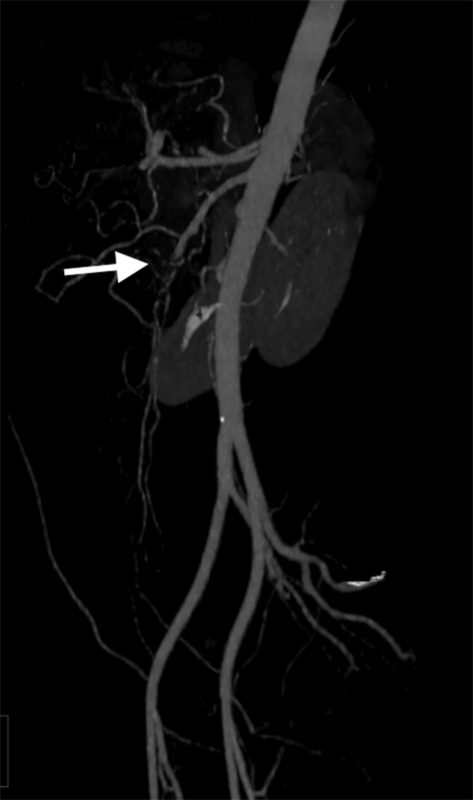 Multidetector CT angiography in the diagnosis of mesenteric ischemia. Radiol Clin North Am. 2007;45(2): 275-288. Costa AF, Chidambaram V, Lee JJ, et al. 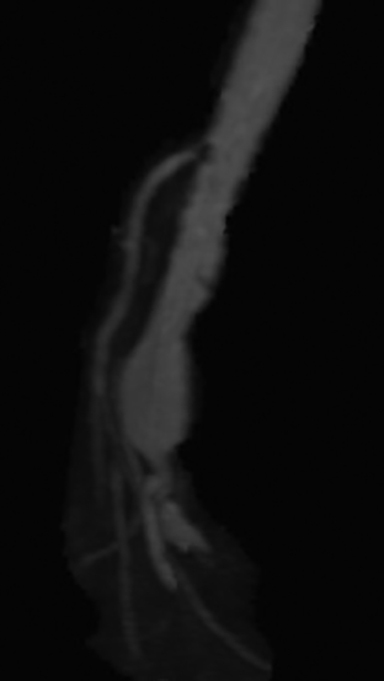 Multidetector computed tomography of mesenteric ischaemia. Insights Imaging. 2014;5(6): 657–666. Levy AD. Mesenteric ischemia. Radiol Clin North Am. 2007;45(3):593–599. Duran R, Denys AL, Letovanec I, et al. 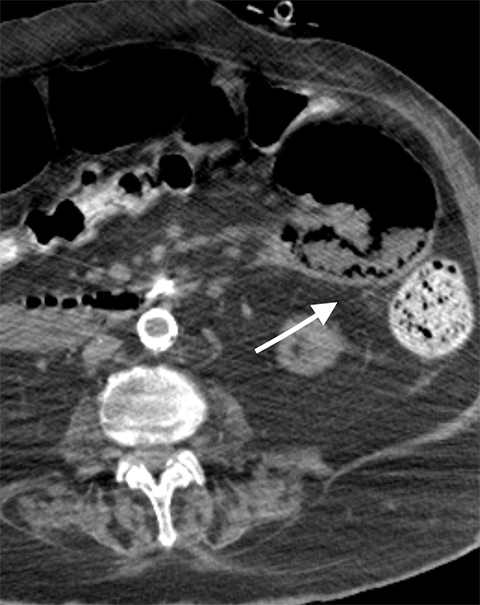 Multidetector CT features of mesenteric vein thrombosis. Radiographics. 2012;32(5):1503–1522. Kirkpatrick I, Kroeker MA, Greenber HM, et al. Biphasic CT with mesenteric CT angiography in the evaluation of acute mesenteric ischemia: initial experience. Radiology. 2003; 229(1): 91-98. Horton K, Fishman E, et al. 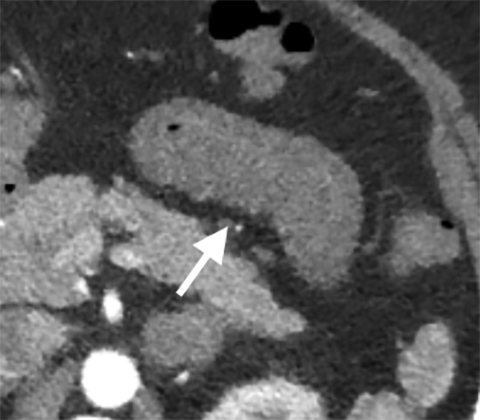 CT Angiography of the mesenteric circulation. Radiol Clin North Am. 2010;48(2): 331-345. Walker TG. Mesenteric ischemia. Semin Intervent Radiol. 2009;26(3): 175–183. Oldenburg WA, Lau LL, Rodenberg TJ, et-al. Acute mesenteric ischemia: a clinical review. Arch. Intern. Med. 2004;164 (10): 1054-62.
van Petersen AS, Kolkman JJ, Meerwaldt R,et al. 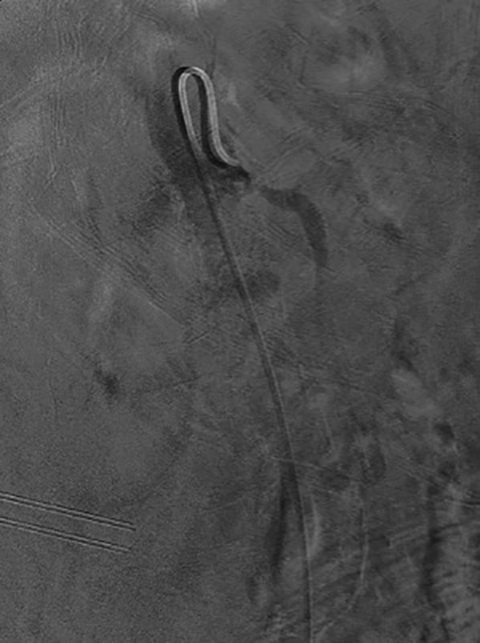 Mesenteric stenosis, collaterals, and compensatory blood flow. J Vasc Surg. 2014;60(1):111-119. Dhatt HS, Behr SC, Miracle A, et al. Radiological evaluation of bowel ischemia. Radiol clin North Am. 2015;53(6): 1241–1254. Reginelli A, Iacobellis F, Berritto D, et al. Mesenteric ischemia: the importance of differential diagnosis for the surgeon. BMC Surg. 2013;13 Suppl 2:S51. Bourcier S, Oudjit A, Goudard G, et al. Diagnosis of non-occlusive acute mesenteric ischemia in the intensive care unit. Ann Intensive Care. 2016;6(1):112. Woodhams R, Nishimaki H, Fujii K, et al. Usefulness of multidetector-row CT (MDCT) for the diagnosis of non-occlusive mesenteric ischemia (NOMI): assessment of morphology and diameter of the superior mesenteric artery (SMA) on multi-planar reconstructed (MPR) images. Eur J Radiol. 2010;76(1):96-102. Arthurs Z, Titus J, Bannazadeh M, et al. A comparison of endovascular revascularization with traditional therapy for the treatment of acute mesenteric ischemia. J Vasc Surg. 2011;53(3):698-704; discussion 704-5. Di Minno M, Milone F, Milone M, et al. Endovascular thrombolysis in acute mesenteric vein thrombosis: A 3-year follow-up with the rate of short and long-term sequaelae in 32 patients. Thromb Res. 2010;126(4):295–298. 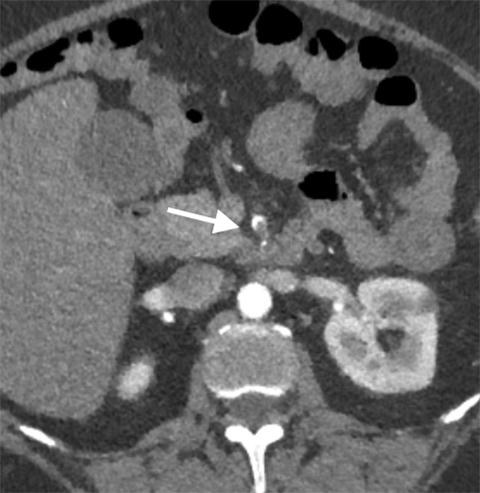 Horton K, Fishman E. Multi–detector row CT of mesenteric ischemia: can it be done? RadioGraphics 2001; 21(6):1463–1473. Hohenwalter E. Chronic mesenteric ischemia: diagnosis and treatment. Semin Intervent Radiol. 2009; 26(4): 345–351. Tembey R, Bajaj AS, Wagle PK, et al. 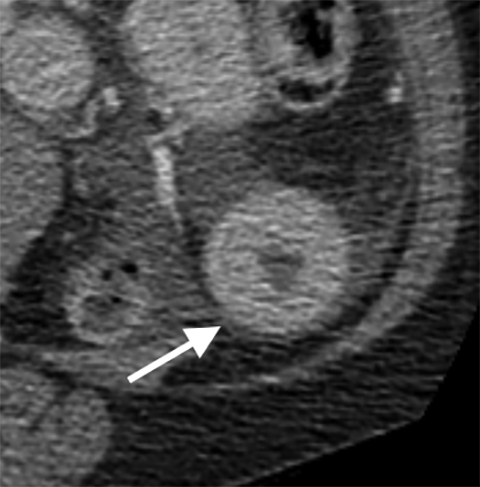 Real-time ultrasound: Key factor in identifying celiac artery compression syndrome. Indian J Radiol Imaging. 2015;25(2):202-205. Horton KM, Talamini MA, Fishman EK, et al. 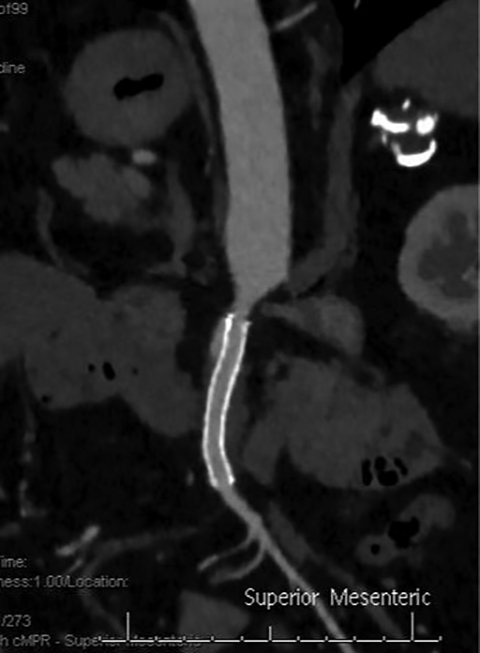 Median arcuate ligament syndrome: evaluation with CT angiography. Radiographics. 2005;25:1177-1182. You JS, Cooper M, Nishida S, et al. Treatment of median arcuate ligament syndrome via traditional and robotic techniques. Hawaii J Med Public Health. 2013; 72(8): 279–281. Nath A, Yewale S, Kousha M, et al. Spontaneous isolated superior mesenteric artery dissection. Case Rep Gastroenterol. 2016;10(3):775-780. Suzuki S, Furui S, Kohtake H, et al. 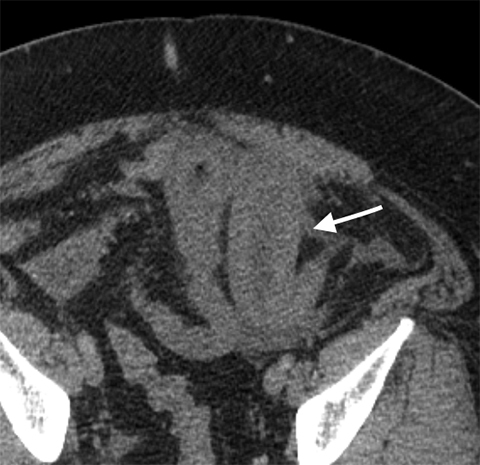 Isolated dissection of the superior mesenteric artery: CT findings in six cases. Abdom Imaging. 2004;29(2):153-157. Nosher J, Chung J, Brevetti LS, et al. 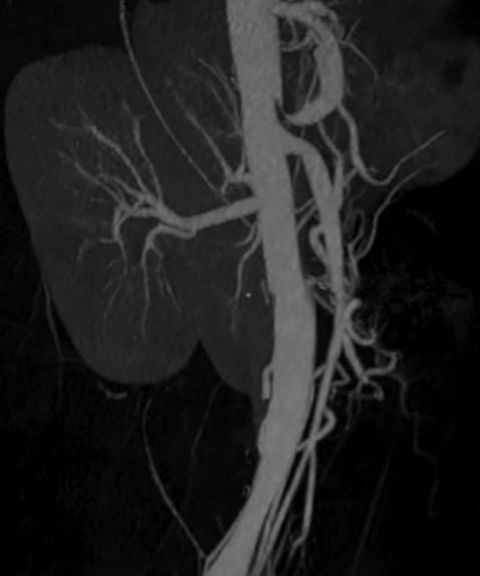 Visceral and renal artery aneurysms: A pictorial essay on endovascular therapy. RadioGraphics 2006; 26(6): 1687-1704. Shetty A, Mellnick VM, Raptis C, et al. 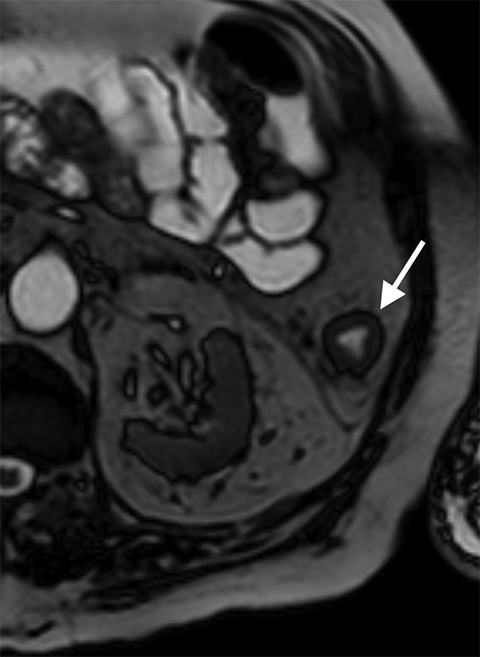 Limited utility of MRA for acute bowel ischemia after portal venous phase CT. Abdom Imaging. 2015;40(8):3020-3028. Reginelli A, Genovese E, Cappabianca S, et al. Intestinal ischemia: US-CT findings correlations. Crit Ultrasound J. 20135(Suppl 1):S7. Hagspiel K, Flors L, Hanley M, et al. 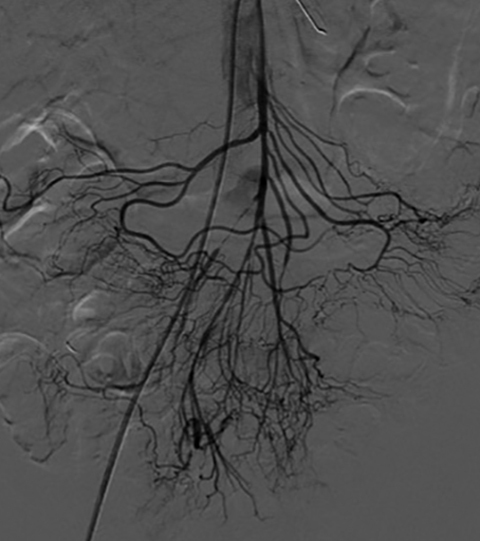 Computed tomography angiography and magnetic resonance angiography imaging of the mesenteric vasculature. Tech Vasc Interv Radiol. 2015; 18(1):2–13. Kärkkäinen J, Acosta S. Acute mesenteric ischemia (Part II) – Vascular and endovascular surgical approaches. Best Pract Res Clin Gastroenterol. 2017;31(1):27-38. Yang S, Fan X, Ding W, et al. Multidisciplinary stepwise management strategy for acute superior mesenteric venous thrombosis: an intestinal stroke center experience. Thromb Res. 2015; 135: 36–45. Ryer E, Kalra M, Oderich GS, et al. Revascularization for acute mesenteric ischemia. J Vasc Surg. 2012; 55: 1682–1689. Shih P, Angle JF, Leung DA, et al. CTA and MRA in mesenteric ischemia: Part 2, normal findings and complications after surgical and endovascular treatment. AJR Am J Roentgenol. Thakur V, Inampudi P, Pena CS. Imaging of mesenteric ischemia. Appl Radiol. 2018;47(2):13-18. Dr. Thakur is a Resident in Radiology at Yale New-Haven Hospital, New Haven, CT; Dr. Inampudi is Section Chief, Abdominal Imaging, Radiology Associates of South Florida, Baptist Health South Florida, Miami, FL; and Dr. Pena is an Interventional Radiologist with Radiology Associates of South Florida, and Medical Director of Vascular Imaging at the Miami Cardiac & Vascular Institute, Miami, FL. The authors declare no conflicts of interest or support related to this topic or manuscript. Dr. Pena is a speaker and educator for Cook Medical, CR Bard, Medtronic, Penumbra, WL Gore, Halyard, and Merit Medical.